Not Inspected (NI)= I did not inspect this item, component or unit and made no representations of whether or not it was functioning as intended and will state a reason for not inspecting. Repair or Replace (RR) = The item, component or unit is not functioning as intended or needs further inspection by a qualified contractor. 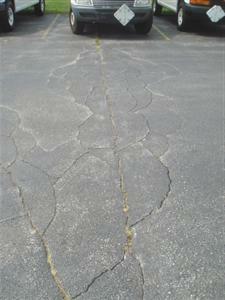 Items, components or units that can be repaired to satisfactory condition may not need replacement. The Home Inspector shall observe structural components including foundations, floors, walls, columns or piers, ceilings and roof. The home inspector shall describe the type of Foundation, floor structure, wall structure, columns or piers, ceiling structure, roof structure. The home inspector shall: Probe structural components where deterioration is suspected; Enter under floor crawl spaces, basements, and attic spaces except when access is obstructed, when entry could damage the property, or when dangerous or adverse situations are suspected; Report the methods used to observe under floor crawl spaces and attics; and Report signs of abnormal or harmful water penetration into the building or signs of abnormal or harmful condensation on building components. The home inspector is not required to: Enter any area or perform any procedure that may damage the property or its components or be dangerous to or adversely effect the health of the home inspector or other persons. 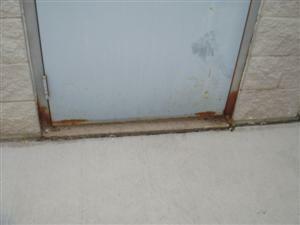 The structure of the home was inspected and reported on with the above information. 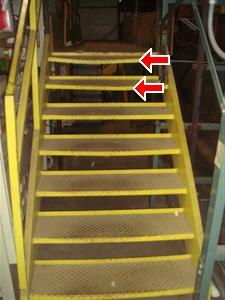 While the inspector makes every effort to find all areas of concern, some areas can go unnoticed. Please be aware that the inspector has your best interest in mind. Any repair items mentioned in this report should be considered before purchase. It is recommended that qualified contractors be used in your further inspection or repair issues as it relates to the comments in this inspection report. 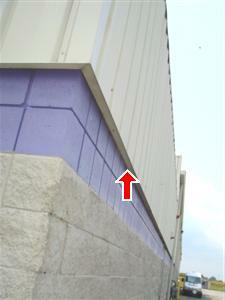 The home inspector shall observe: Wall cladding, flashings, and trim; Entryway doors and a representative number of windows; Garage door operators; Decks, balconies, stoops, steps, areaways, porches and applicable railings; Eaves, soffits, and fascias; and Vegetation, grading, drainage, driveways, patios, walkways, and retaining walls with respect to their effect on the condition of the building. 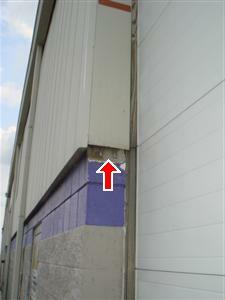 The home inspector shall: Describe wall cladding materials; Operate all entryway doors and a representative number of windows; Operate garage doors manually or by using permanently installed controls for any garage door operator; Report whether or not any garage door operator will automatically reverse or stop when meeting reasonable resistance during closing; and Probe exterior wood components where deterioration is suspected. 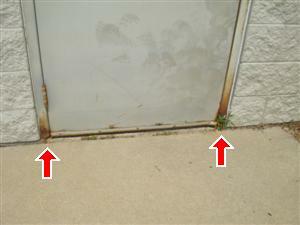 The home inspector is not required to observe: Storm windows, storm doors, screening, shutters, awnings, and similar seasonal accessories; Fences; Presence of safety glazing in doors and windows; Garage door operator remote control transmitters; Geological conditions; Soil conditions; Recreational facilities (including spas, saunas, steam baths, swimming pools, tennis courts, playground equipment, and other exercise, entertainment, or athletic facilities); Detached buildings or structures; or Presence or condition of buried fuel storage tanks. The home inspector is not required to: Move personal items, panels, furniture, equipment, plant life, soil, snow, ice or debris that obstructs access or visibility. The driveways and parking lots are not being maintained. 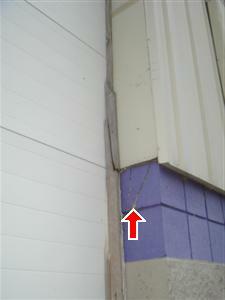 The exterior of the home was inspected and reported on with the above information. 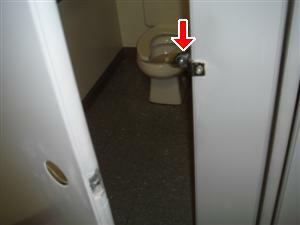 While the inspector makes every effort to find all areas of concern, some areas can go unnoticed. Please be aware that the inspector has your best interest in mind. Any repair items mentioned in this report should be considered before purchase. It is recommended that qualified contractors be used in your further inspection or repair issues as it relates to the comments in this inspection report. The home inspector shall observe: Roof covering; Roof drainage systems; Flashings; Skylights, chimneys, and roof penetrations; and Signs of' leaks or abnormal condensation on building components. The home inspector shall: Describe the type of roof covering materials; and Report the methods used to observe the roofing. The home inspector is not required to: Walk on the roofing; or Observe attached accessories including but not limited to solar systems, antennae, and lightning arrestors. 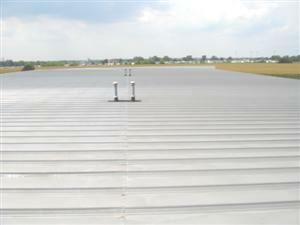 The roof of the home was inspected and reported on with the above information. 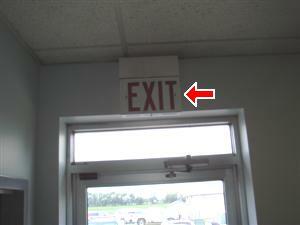 While the inspector makes every effort to find all areas of concern, some areas can go unnoticed. 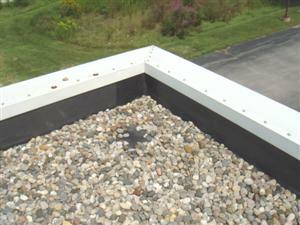 Roof coverings and skylights can appear to be leak proof during inspection and weather conditions. 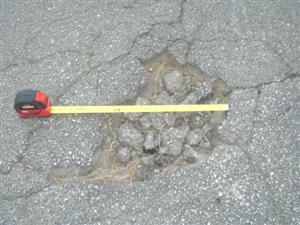 Our inspection makes an attempt to find a leak but sometimes cannot. Please be aware that the inspector has your best interest in mind. Any repair items mentioned in this report should be considered before purchase. It is recommended that qualified contractors be used in your further inspection or repair issues as it relates to the comments in this inspection report. 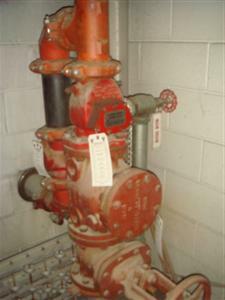 The plumbing in the home was inspected and reported on with the above information. 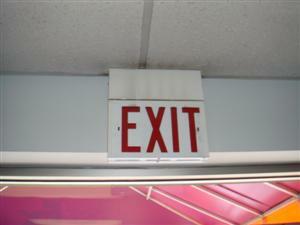 While the inspector makes every effort to find all areas of concern, some areas can go unnoticed. Washing machine drain line for example cannot be checked for leaks or the ability to handle the volume during drain cycle. Older homes with galvanized supply lines or cast iron drain lines can be obstructed and barely working during an inspection but then fails under heavy use. 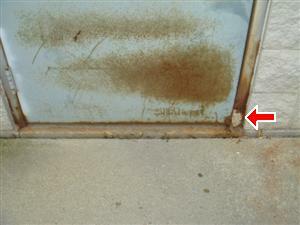 If the water is turned off or not used for periods of time (like a vacant home waiting for closing) rust or deposits within the pipes can further clog the piping system. Please be aware that the inspector has your best interest in mind. Any repair items mentioned in this report should be considered before purchase. It is recommended that qualified contractors be used in your further inspection or repair issues as it relates to the comments in this inspection report. 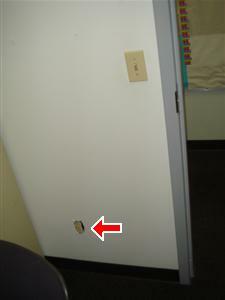 The plug on the west wall in the MBSA Resource Center is loose in the wall. Main panel box is located at hall and tuck bay.. 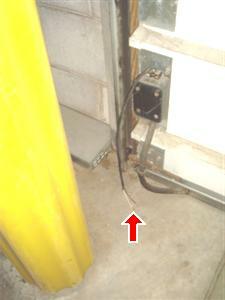 The electrical system of the home was inspected and reported on with the above information. 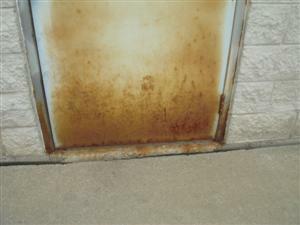 While the inspector makes every effort to find all areas of concern, some areas can go unnoticed. 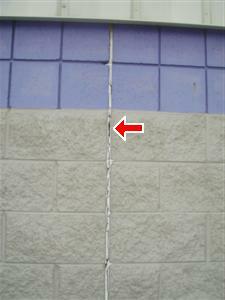 Outlets were not removed and the inspection was only visual. 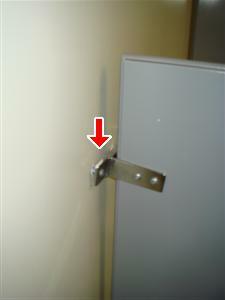 Any outlet not accessible (behind the refrigerator for example) was not inspected or accessible. Please be aware that the inspector has your best interest in mind. Any repair items mentioned in this report should be considered before purchase. It is recommended that qualified contractors be used in your further inspection or repair issues as it relates to the comments in this inspection report. The home inspector shall observe permanently installed heating systems including: Heating equipment; Normal operating controls; Automatic safety controls; Chimneys, flues, and vents, where readily visible; Solid fuel heating devices; Heat distribution systems including fans, pumps, ducts and piping, with supports, insulation, air filters, registers, radiators, fan coil units, convectors; and the presence of an installed heat source in each room. The home inspector shall describe: Energy source; and Heating equipment and distribution type. The home inspector shall operate the systems using normal operating controls. 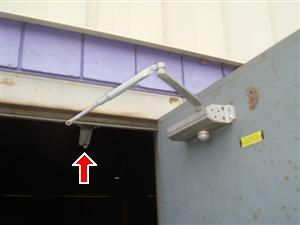 The home inspector shall open readily openable access panels provided by the manufacturer or installer for routine homeowner maintenance. 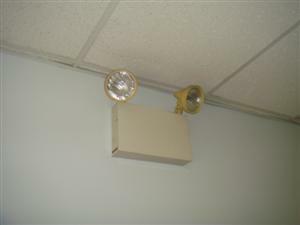 The home inspector is not required to: Operate heating systems when weather conditions or other circumstances may cause equipment damage; Operate automatic safety controls; Ignite or extinguish solid fuel fires; or Observe: The interior of flues; Fireplace insert flue connections; Humidifiers; Electronic air filters; or The uniformity or adequacy of heat supply to the various rooms. No carbon monoxide was detected at the time of this inspection. 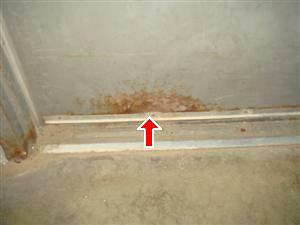 The heating system of this home was inspected and reported on with the above information. 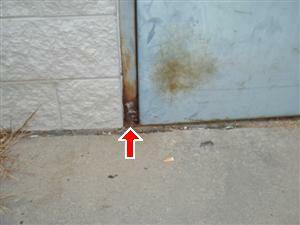 While the inspector makes every effort to find all areas of concern, some areas can go unnoticed. The inspection is not meant to be technically exhaustive. The inspection does not involve removal and inspection behind service door or dismantling that would otherwise reveal something only a licensed heat contractor would discover. Please be aware that the inspector has your best interest in mind. Any repair items mentioned in this report should be considered before purchase. It is recommended that qualified contractors be used in your further inspection or repair issues as it relates to the comments in this inspection report. The home inspector shall observe: Central air conditioning and permanently installed cooling systems including: Cooling and air handling equipment; and Normal operating controls. Distribution systems including: Fans, pumps, ducts and piping, with associated supports, dampers, insulation, air filters, registers, fan-coil units; and The presence of an installed cooling source in each room. The home inspector shall describe: Energy sources; and Cooling equipment type. The home inspector shall operate the systems using normal operating controls. The home inspector shall open readily openable access panels provided by the manufacturer or installer for routine homeowner maintenance The home inspector is not required to: Observe window air conditioners or operate cooling systems when weather conditions or other circumstances may cause equipment damage; Observe non-central air conditioners; or Observe the uniformity or adequacy of cool-air supply to the various rooms. 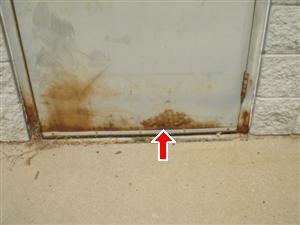 The cooling system of this home was inspected and reported on with the above information. 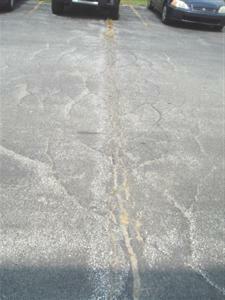 While the inspector makes every effort to find all areas of concern, some areas can go unnoticed. The inspection is not meant to be technically exhaustive. The inspection does not involve removal and inspection behind service door or dismantling that would otherwise reveal something only a licensed HVAC contractor would discover (Heating, Ventilation, and Air Conditioning). Please be aware that the inspector has your best interest in mind. 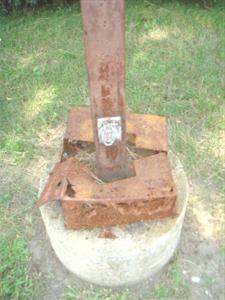 Any repair items mentioned in this report should be considered before purchase. It is recommended that qualified contractors be used in your further inspection or repair issues as it relates to the comments in this inspection report. 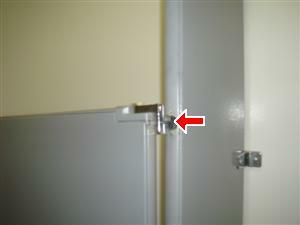 The top screw in the closer arm(Picture 1) in the mens bathroom is missing causing the arm to hit the top of the door every time the door is open. 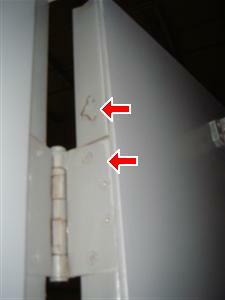 The interior of the home was inspected and reported on with the above information. 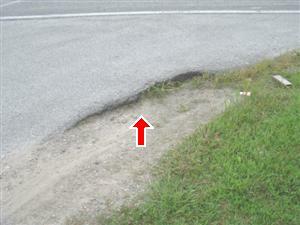 While the inspector makes every effort to find all areas of concern, some areas can go unnoticed. The inspection did not involve moving furniture and inspecting behind furniture, area rugs or areas obstructed from view. Please be aware that the inspector has your best interest in mind. Any repair items mentioned in this report should be considered before purchase. It is recommended that qualified contractors be used in your further inspection or repair issues as it relates to the comments in this inspection report. 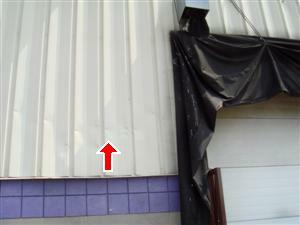 The insulation and ventilation of the home was inspected and reported on with the above information. 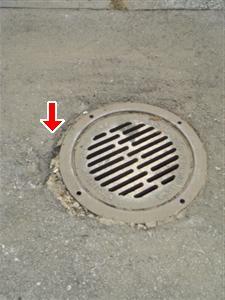 While the inspector makes every effort to find all areas of concern, some areas can go unnoticed. 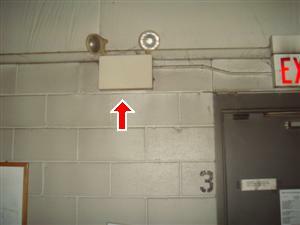 Venting of exhaust fans or clothes dryer cannot be fully inspected and bends or obstructions can occur without being accessible or visible (behind wall and ceiling coverings). Only insulation that is visible was inspected. Please be aware that the inspector has your best interest in mind. Any repair items mentioned in this report should be considered before purchase. It is recommended that qualified contractors be used in your further inspection or repair issues as it relates to the comments in this inspection report. Home inspectors are not required to report on the following: Life expectancy of any component or system; The causes of the need for a repair; The methods, materials, and costs of corrections; The suitability of the property for any specialized use; Compliance or non-compliance with codes, ordinances, statutes, regulatory requirements or restrictions; The market value of the property or its marketability; The advisability or inadvisability of purchase of the property; Any component or system that was not observed; The presence or absence of pests such as wood damaging organisms, rodents, or insects; or Cosmetic items, underground items, or items not permanently installed. Home inspectors are not required to: Offer warranties or guarantees of any kind; Calculate the strength, adequacy, or efficiency of any system or component; Enter any area or perform any procedure that may damage the property or its components or be dangerous to the home inspector or other persons; Operate any system or component that is shut down or otherwise inoperable; Operate any system or component that does not respond to normal operating controls; Disturb insulation, move personal items, panels, furniture, equipment, plant life, soil, snow, ice, or debris that obstructs access or visibility; Determine the presence or absence of any suspected adverse environmental condition or hazardous substance, including but not limited to mold, toxins, carcinogens, noise, contaminants in the building or in soil, water, and air; Determine the effectiveness of any system installed to control or remove suspected hazardous substances; Predict future condition, including but not limited to failure of components; Since this report is provided for the specific benefit of the customer(s), secondary readers of this information should hire a licensed inspector to perform an inspection to meet their specific needs and to obtain current information concerning this property. It is understood and agreed that this inspection will be of readily accessible areas of the building and is limited to visual observations of apparent conditions existing only at the time of the inspection. 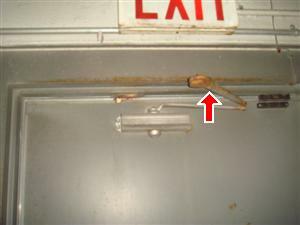 Latent and concealed defects and deficiencies are excluded from the inspection; equipment, items, and systems will not be dismantled. 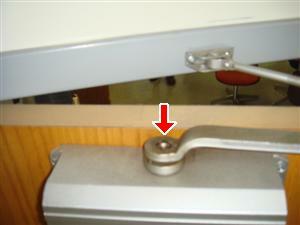 Maintenance and other items may be discussed, but they are not a part of our inspection. The report is not a compliance inspection or certification for past or present governmental codes or regulations of any kind. 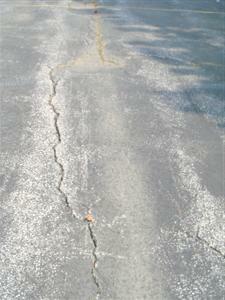 The inspection and report do not address and are not intended to address the possible presence of or danger from any potentially harmful substances and environmental hazards, including but not limited to radon gas, lead paint, asbestos, mold, mildew, urea formaldehyde, toxic or flammable chemicals, and water and airborne hazards. Also excluded are inspections of and reports on swimming pools, wells, septic systems, security systems, central vacuum systems, water softeners, sprinkler systems, fire and safety equipment, and the presence or absence of rodents, termites and other insects. It is understood and agreed that Van Wert Inspections is not an insurer and that the inspection and reports are not to be intended or construed as a guarantee or warranty of the adequacy, performance, or condition of any structure, item, or system at the property address. The CLIENT hereby releases and exempts Van Wert Inspections and its employees of and from all liability and responsibility for the cost of repairing or replacing any unreported defect or deficiency and for any consequential damage, property damage, or personal injury of any nature. 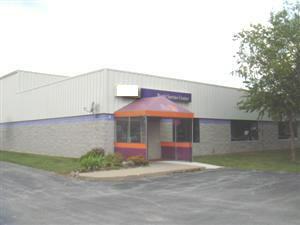 In the event that Van Wert Inspections and/or its employees are found liable due to breach of contract, negligence, negligent misrepresentation, negligent hiring or any other theory of liability, then the liability of Van Wert Inspections and employees shall be limited to a sum equal to the amount of the fee paid by the CLIENT to Van Wert Inspections for the inspection and report. CLIENT and Van Wert Inspections agree that should a court of competent jurisdiction determine and declare that any portion of this Agreements is void, voidable or unenforceable, the remaining provision and portion shall remain in full force and effect.